Paul Austin is a Vice President and Campaign Consultant with Kirby-Smith Associates, a company whose methods are spiritually sound and are the product of training, expertise in their field, and more than 80 years of experience. Their scripturally-based fundraising methods work within your faith tradition to Grow Your Space, Grow Your Giving, and Grow Your Membership. Kirby-Smith has served more than 20,000 Christian churches and Faith Communities among 35+ denominations. The vision of Kirby-Smith is vibrant and growing Christian communities of faith. 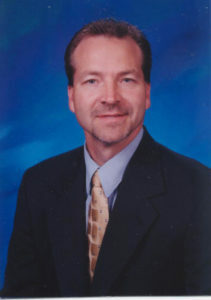 Paul graduated from Texas Lutheran University in 1985 with a Bachelor of Arts in Theology and Psychology. He completed his Master of Divinity in 1989 from Gettysburg Lutheran Theological Seminary and served as an Ordained Minister in the parish and Christian school setting for 28 years until December 2017. Paul is passionate about helping churches and schools accomplish God’s vision for them by asking and answering: “Where does God want you to go next?” and “How do you get there?” He will assist you in expanding ministry, accomplishing financial goals, and partnering with your leadership to get the best results. In his free time, if Paul isn’t with his family, you may find him on the soccer field. He possesses the NSCAA Advanced National Diploma in soccer coaching and has coached High School soccer for the past 23 years, mainly on the girl’s side. Paul has been married to his wife Jennifer for more than 31 years and they have two boys – Micah (21) and Caleb (18). They reside in Austin, Texas.